Sierra grew up talking too loud and taking up as much space as possible in California. 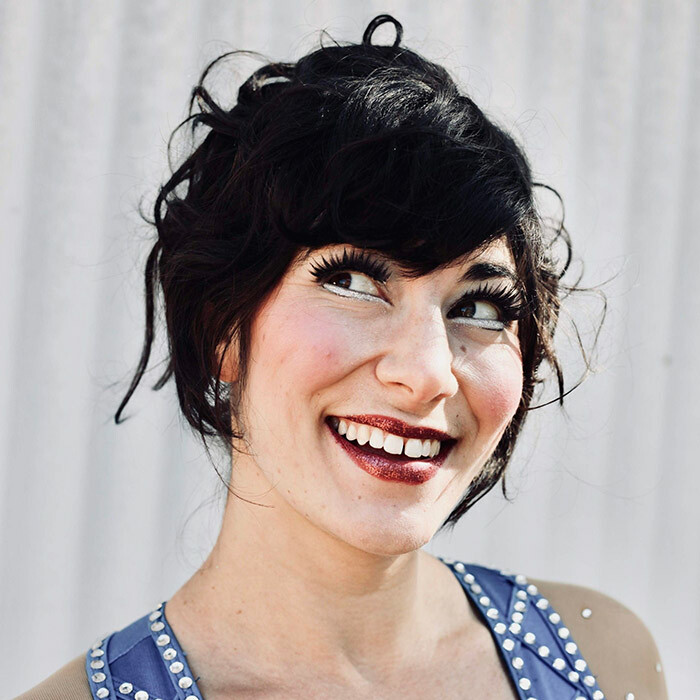 After wading in the worlds of dance and theater, she found circus to be a place that embraced her poignant skills as a physical theater artist, aerialist, and clown. An avid collaborator, Sierra is co-founder of Levity Aerial Troupe and Skytopia Aerial Arts where she shares her love of aerial art with youth and adults. Specializing in silks and trapeze, Sierra takes characters up into the air. Audiences have called her “an electrifying beam of positivity and happiness in this cynical world”. Sierra holds a BFA in theater performance and a certificate in nonprofit management from Southern Oregon University.